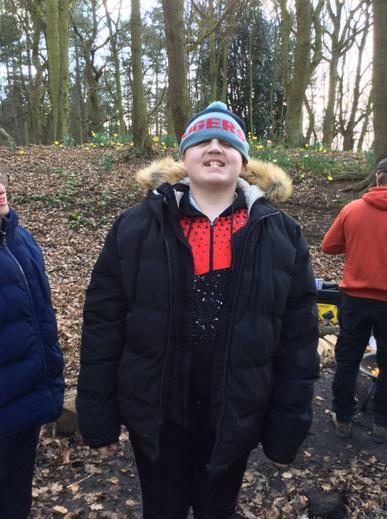 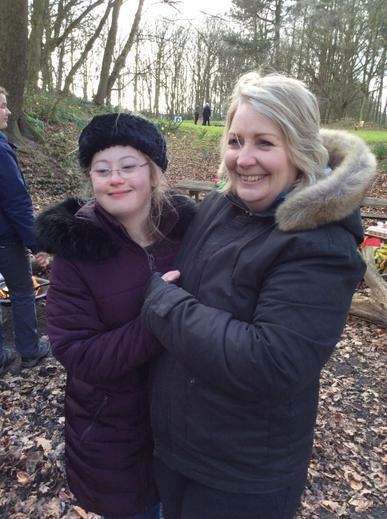 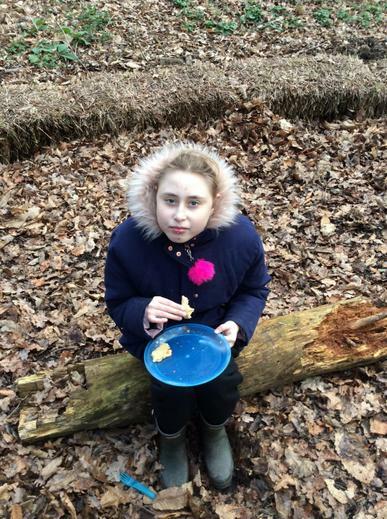 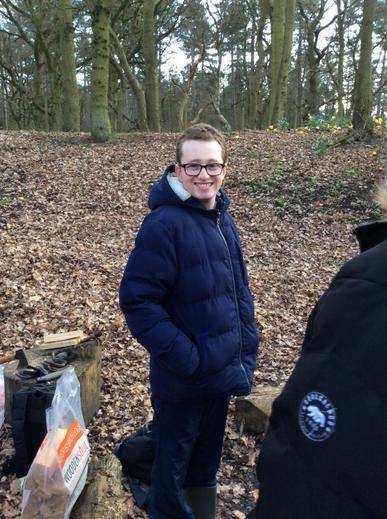 We have been to the forest near Clipstone for a day with the adventure service, we lit the fire, drank hot chocolate and made and ate pancakes. 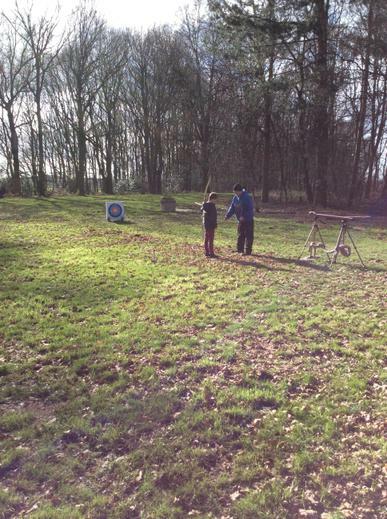 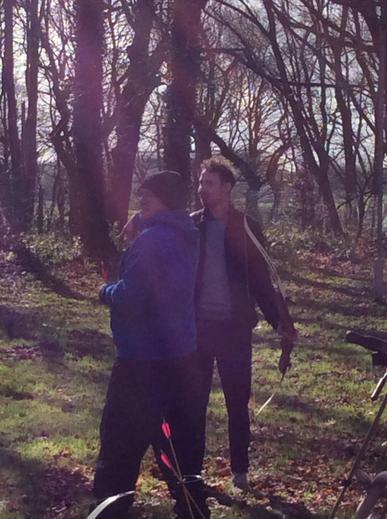 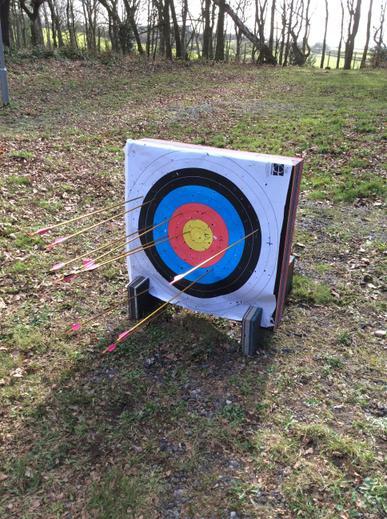 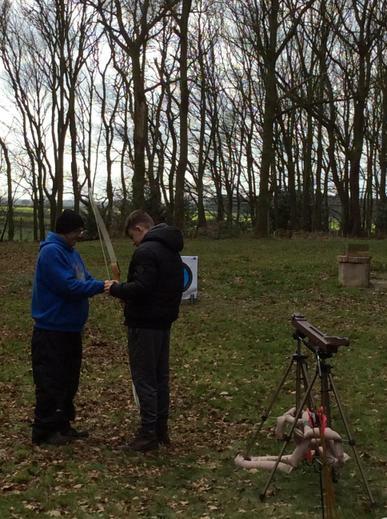 We also had fun practising our Archery skills but got very cold. 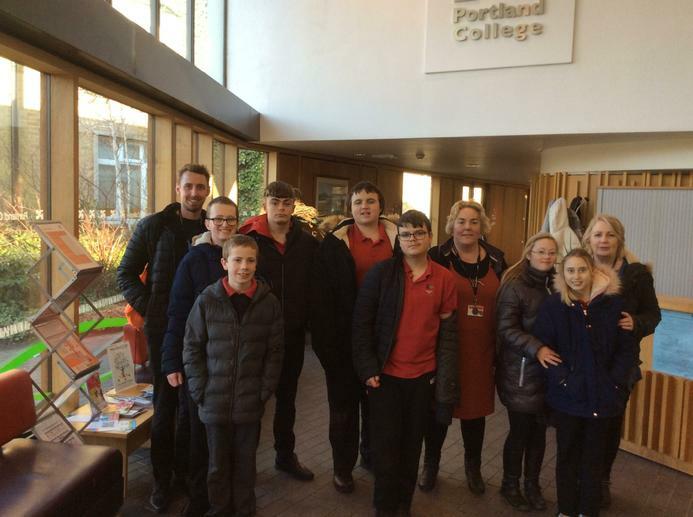 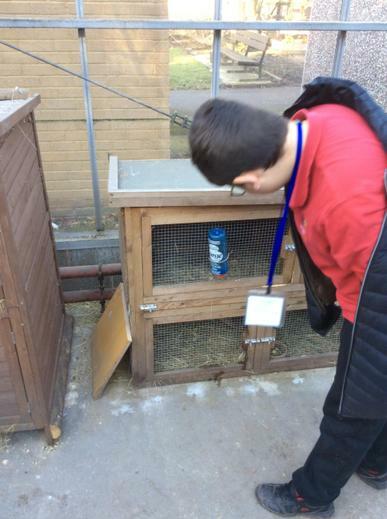 As part of work related learning we have been to visit Portland College to find out what we can do when we leave school, we saw the drama area, art rooms, the farm and the dining hall. 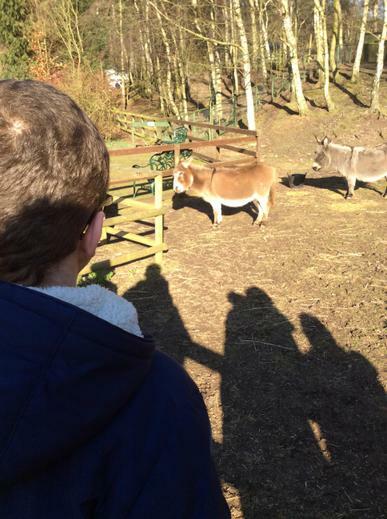 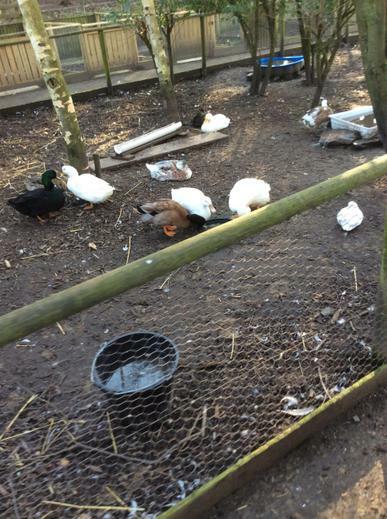 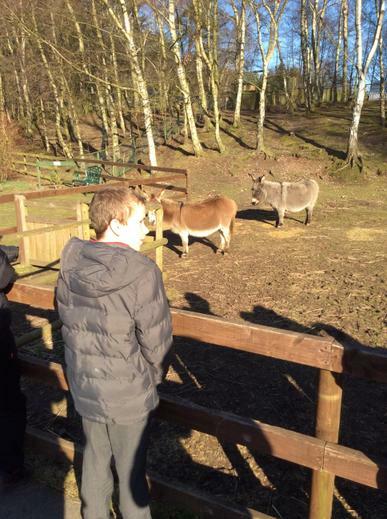 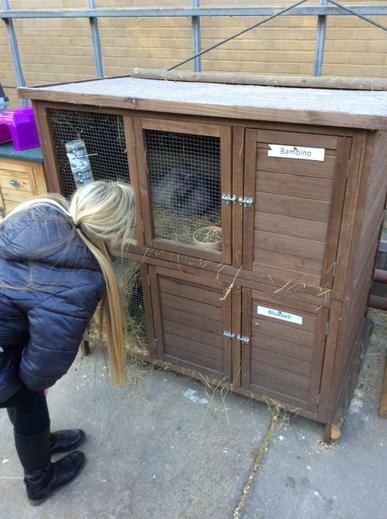 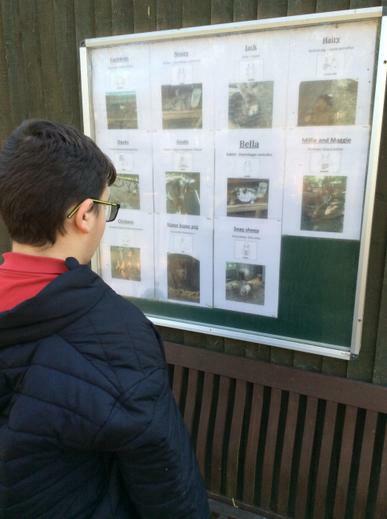 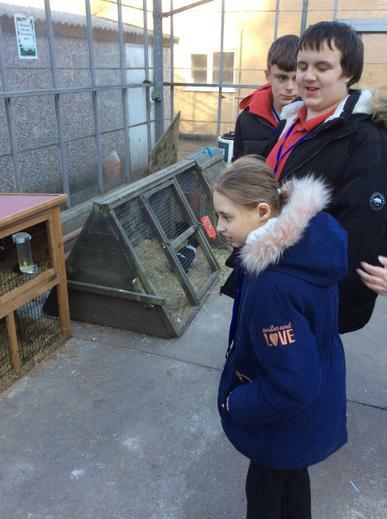 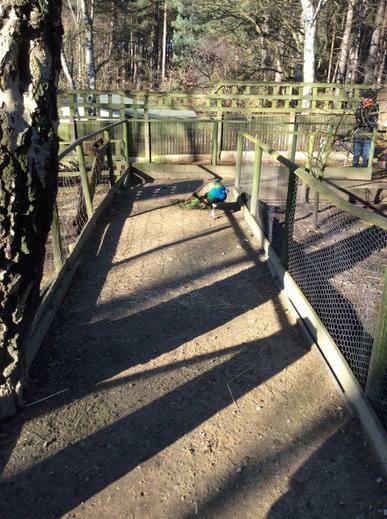 The students really liked seeing the animals in the farm. 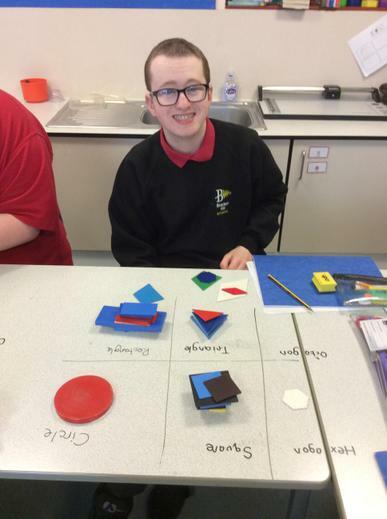 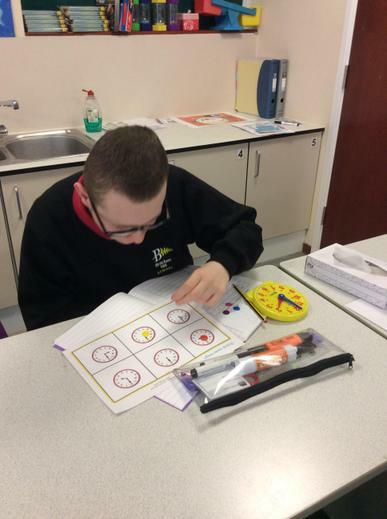 In science we have been looking at atoms and how the properties of different groups of the periodic table, the class were particularly excited when it came to looking ta the properties and reactions of group 1 metals. 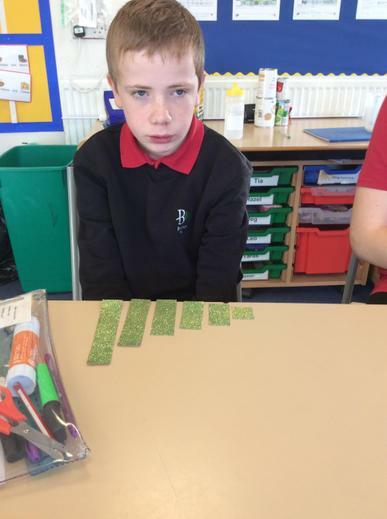 In work related learning we have visited Kirkby Library and have found out about the job of the librarian, we all had to do some work whilst we were there and had fun scanning books back in, sorting them for delivery to other libraries and placing them back on the shelves. 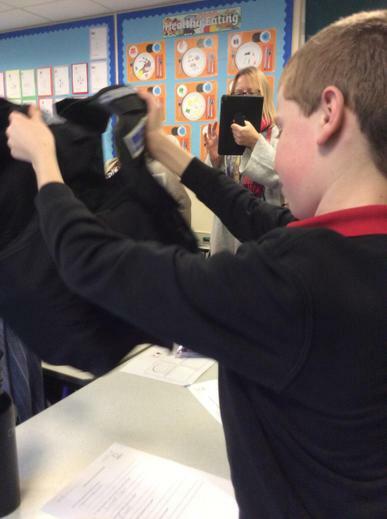 Sorry there are no photos the ipad was out of charge. 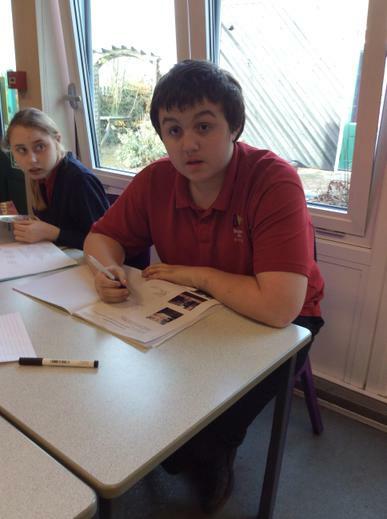 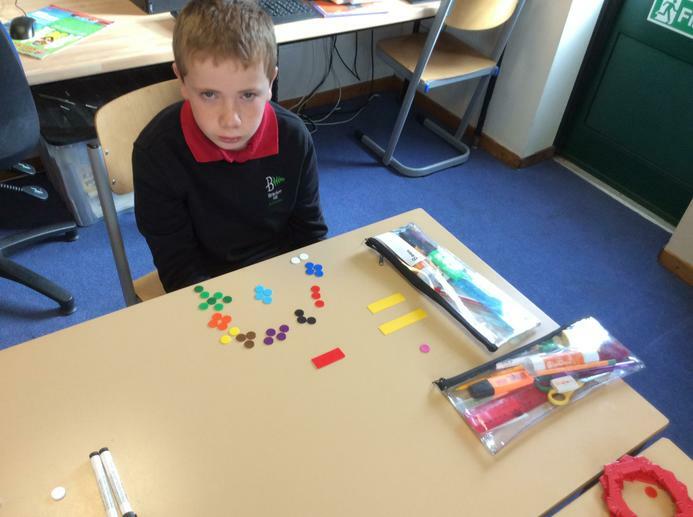 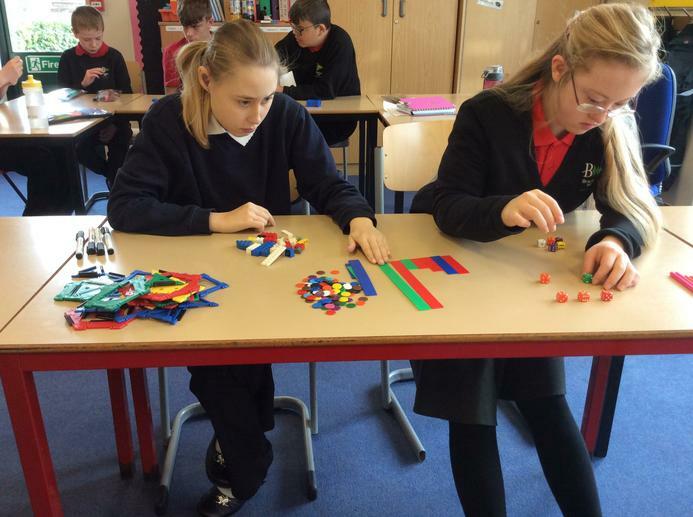 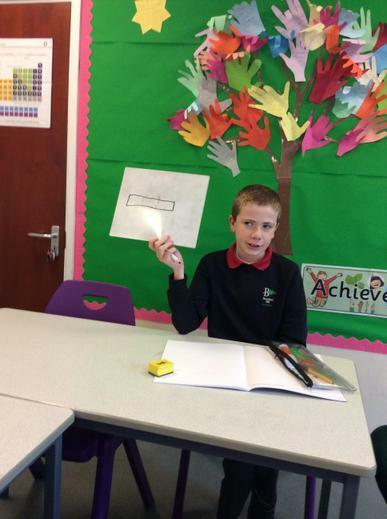 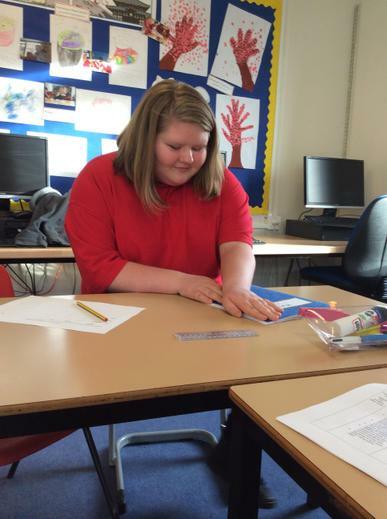 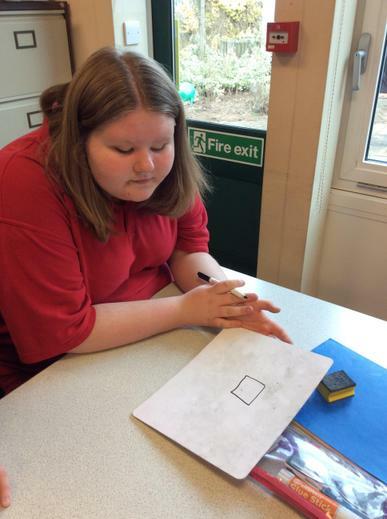 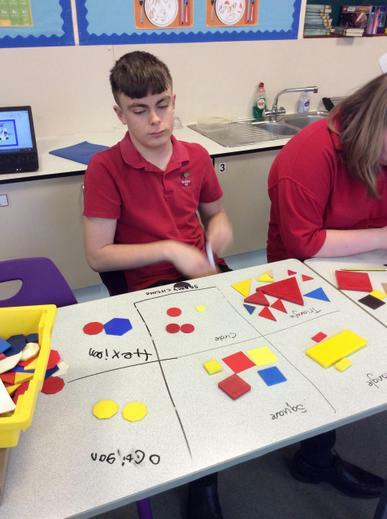 In maths we have moved onto shape as our main topic. 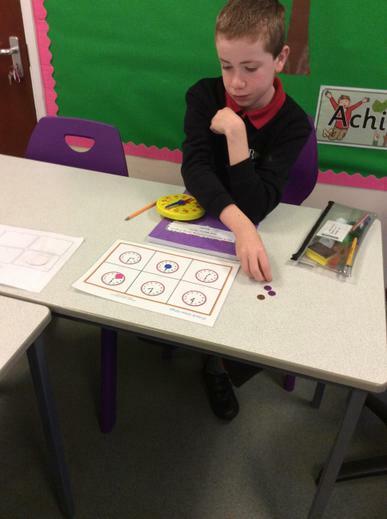 This week we have been looking at matching shapes and the properties of shapes. 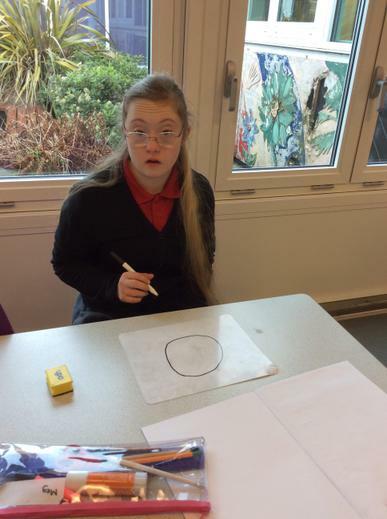 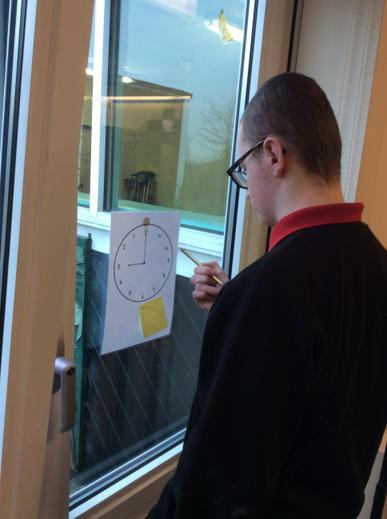 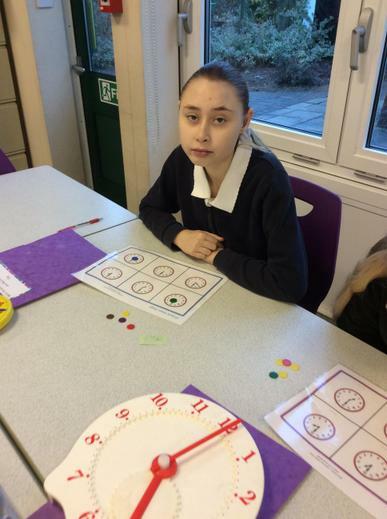 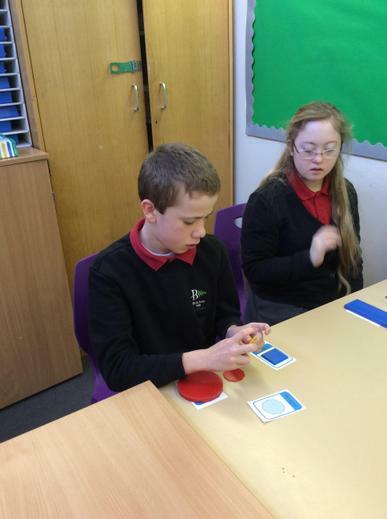 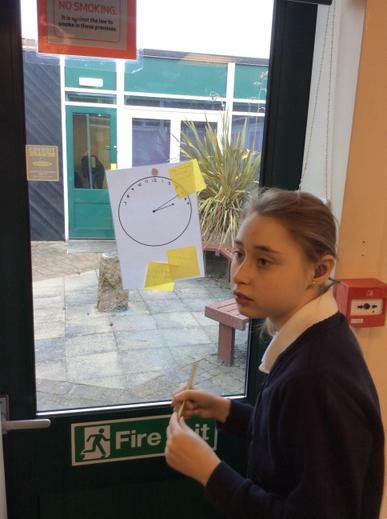 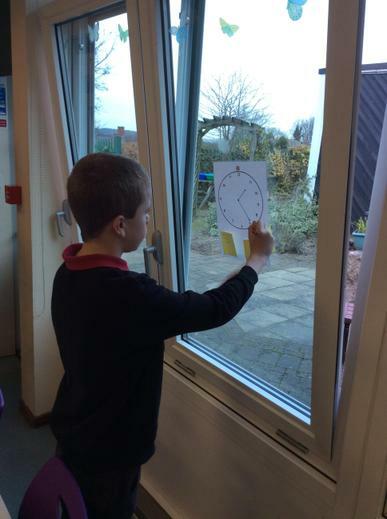 As part of our work related learning we have been learning about clocks in our Friday Maths lessons. 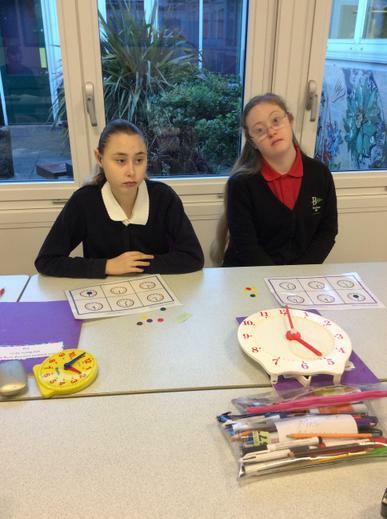 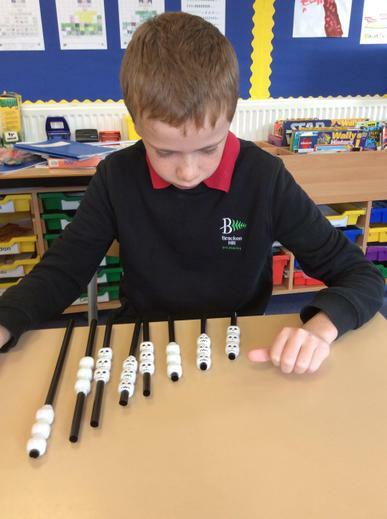 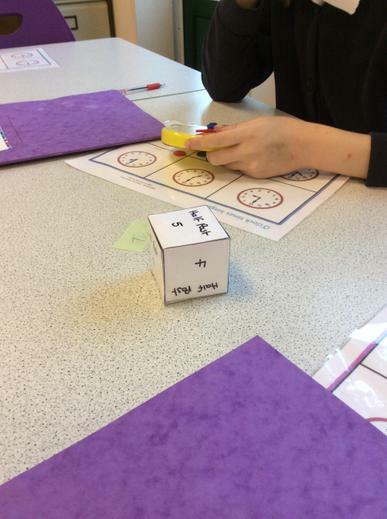 Students have enjoyed a variety of games in order to help them with their time telling, a favourite has been using 'Rockin around the clock' to choose a clock to work with. 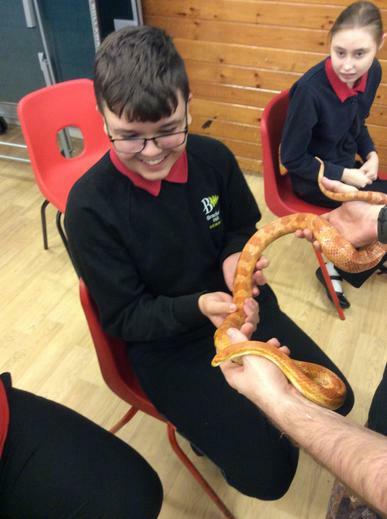 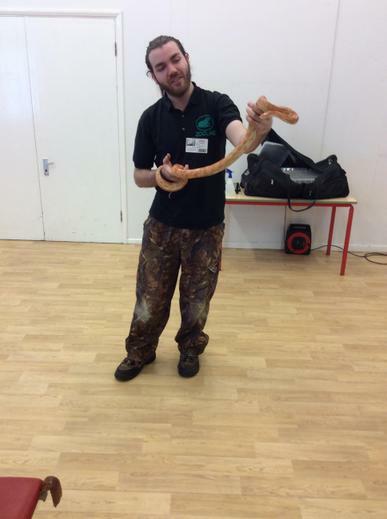 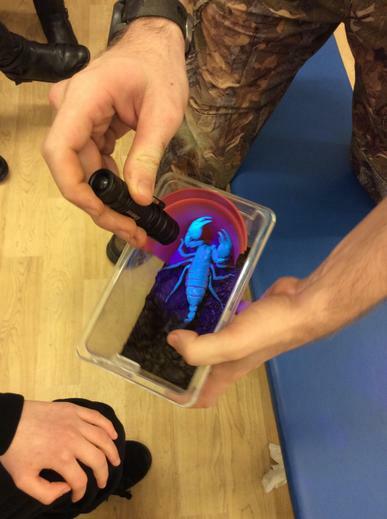 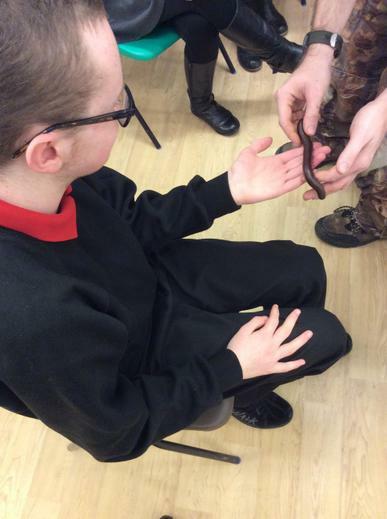 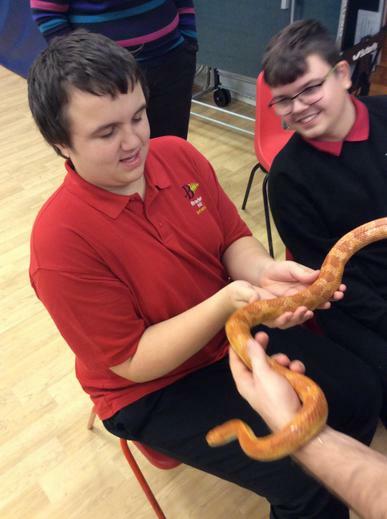 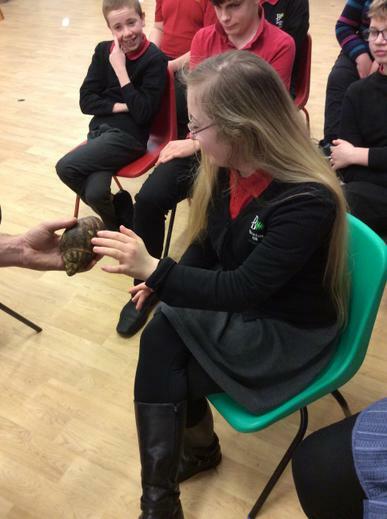 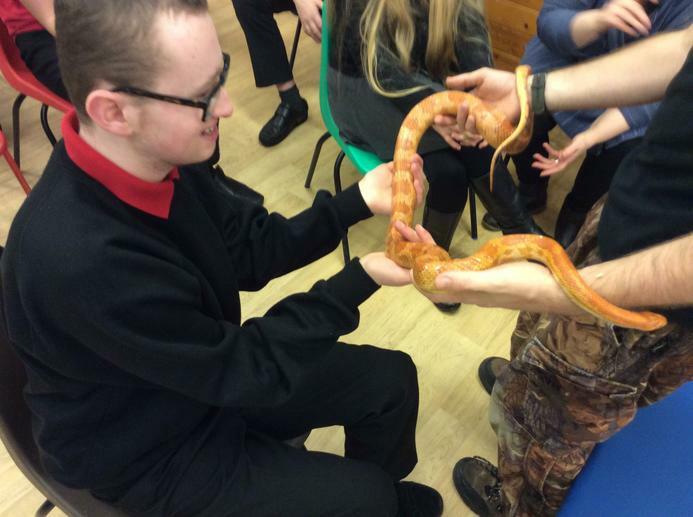 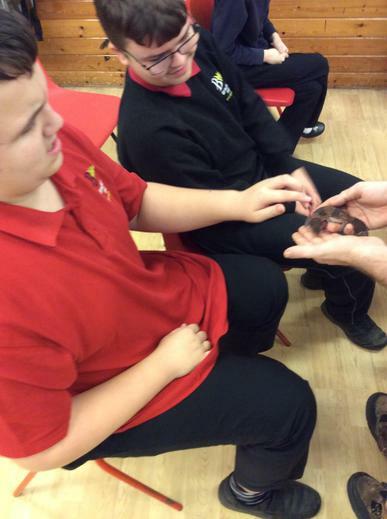 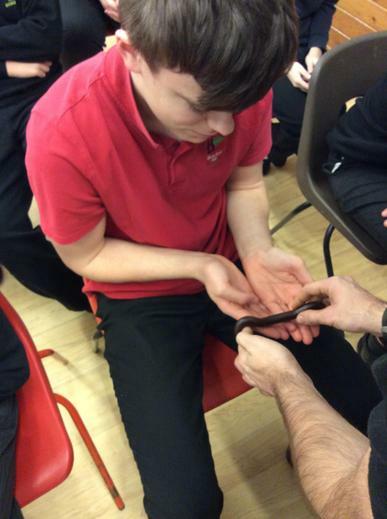 On Monday the 28th we had a visit from Zoolab who came in to tell us all about the animals that are found in the rainforest, they bought with them: Sally the giant snail who slimed a student or 2, Steve the scorpion who glowed blue under an ultra violet light and we were not allowed to touch, Maxine the giant African millipede who tickled the hands of all who held her, Gary the African fat tail Gecko and Sophie the corn snake who although the not from the rainforest was the one that most students were keen to touch, whilst Ms Lane kept a safe distance at the back of the hall. 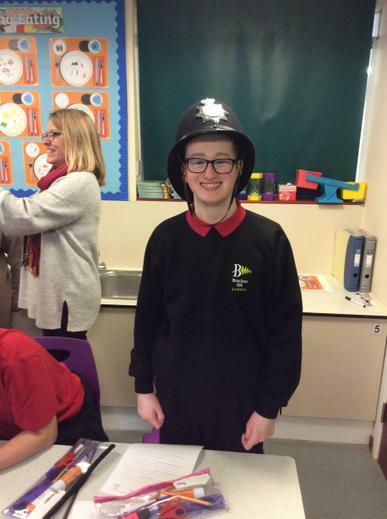 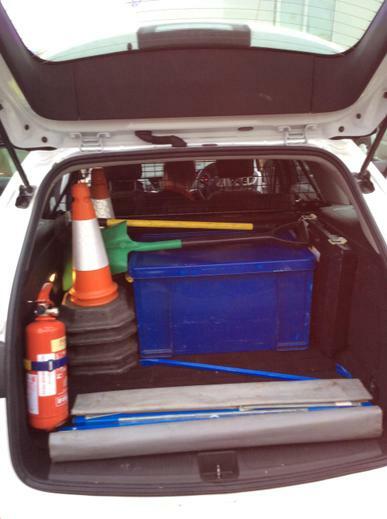 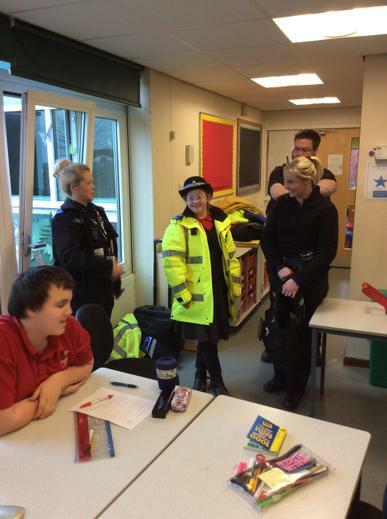 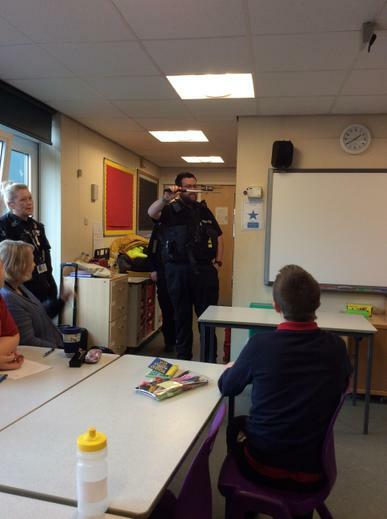 On Friday the 25th January as part of work related learning Nottinghamshire Police visited school to speak to the students about what they do and the safety equipment that they wear. 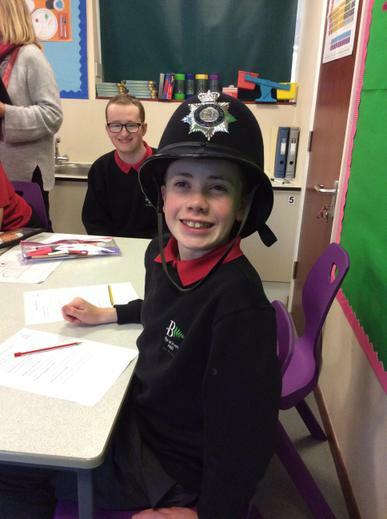 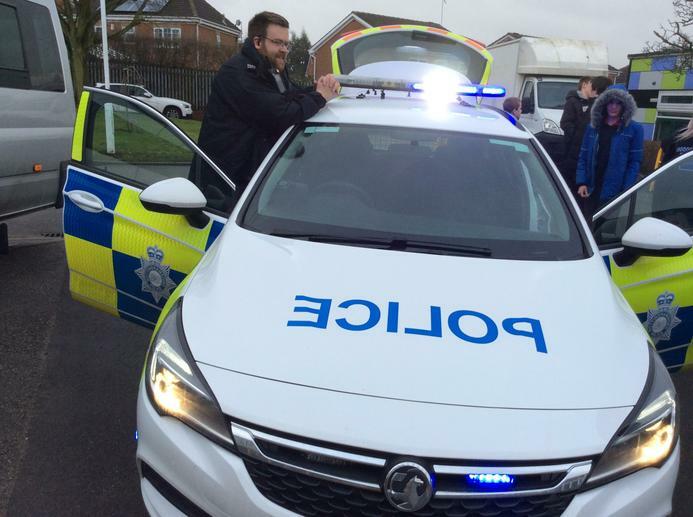 Students were keen to try on the uniforms and set the sirens off in the police car. 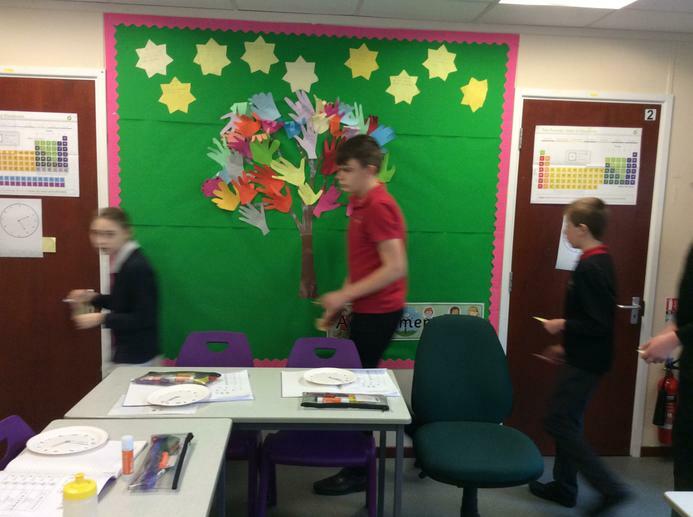 Over the last few weeks Rufford class have moved into their new classroom and have settled well, they have gotten use to the new routines. 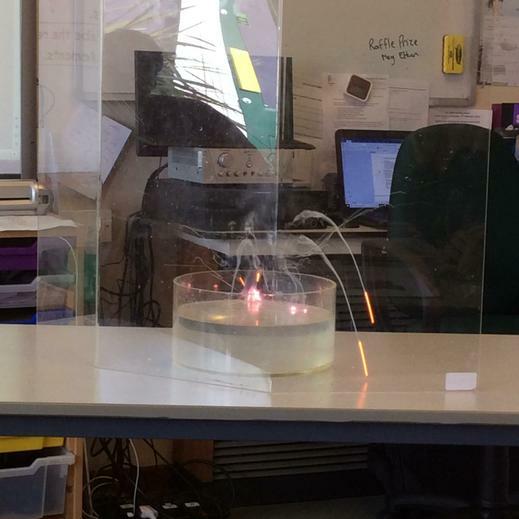 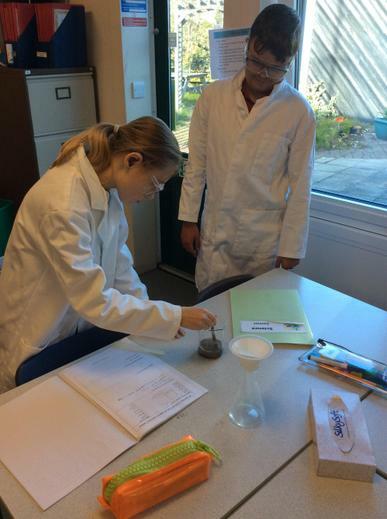 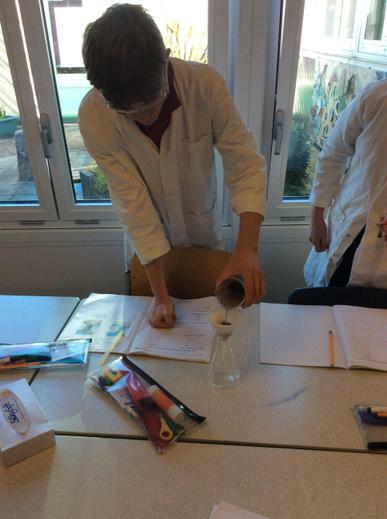 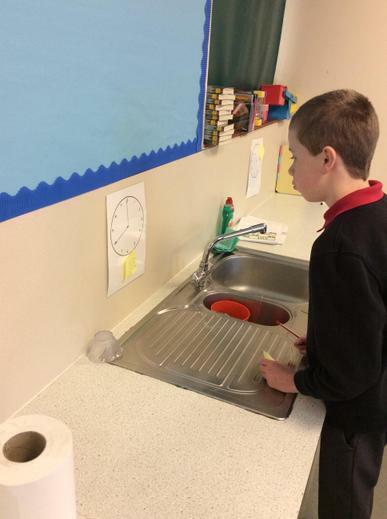 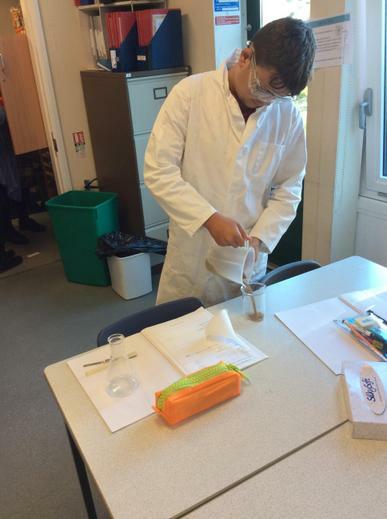 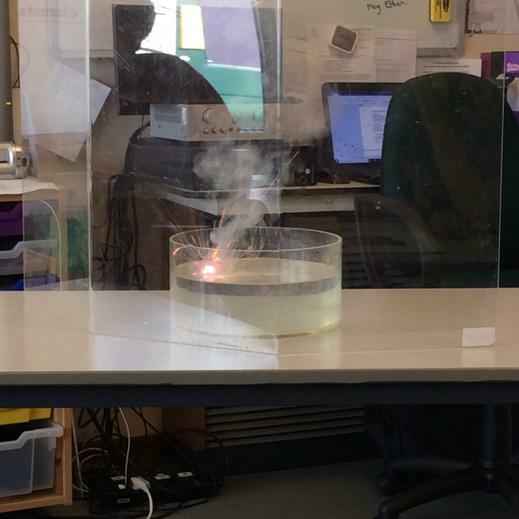 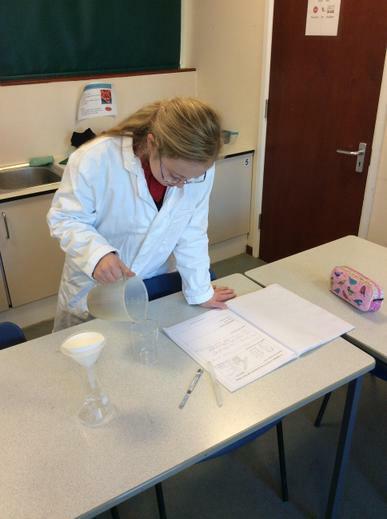 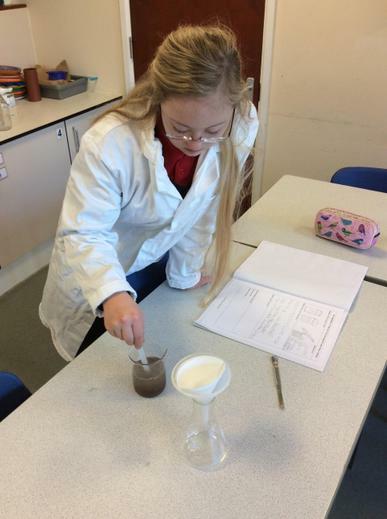 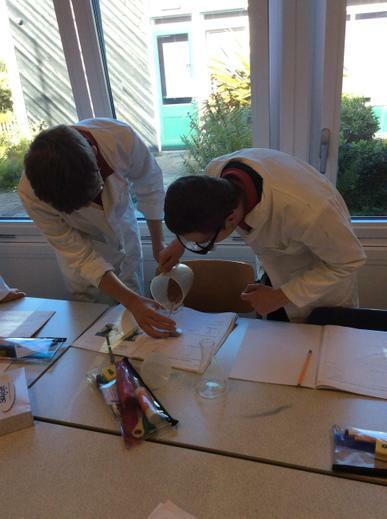 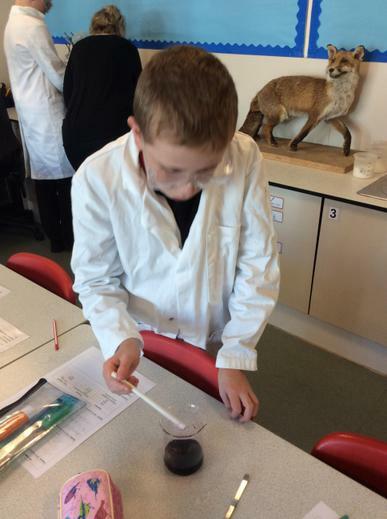 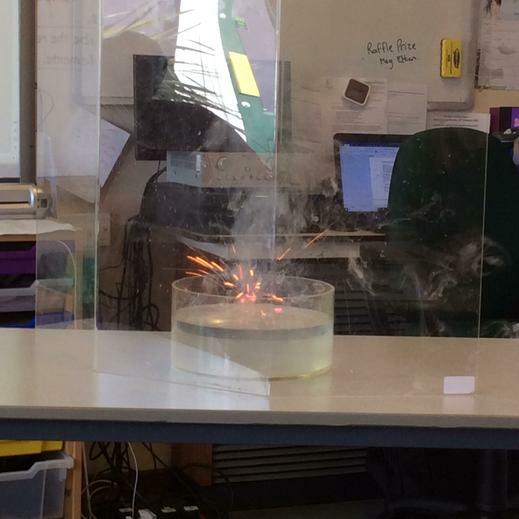 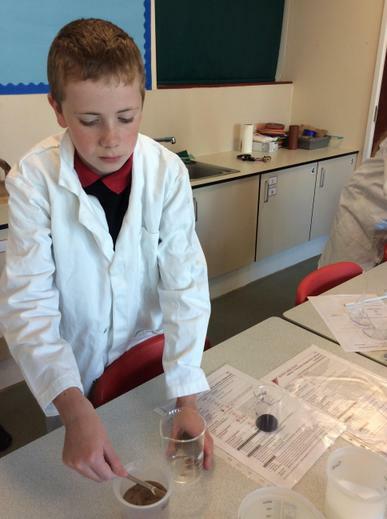 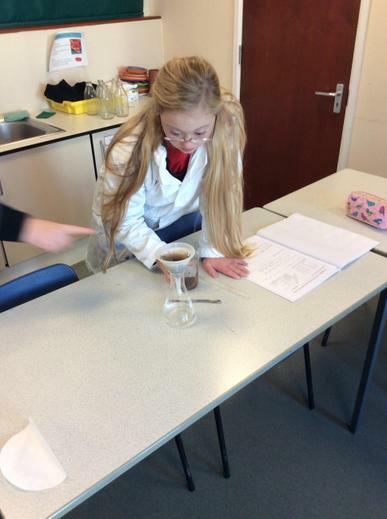 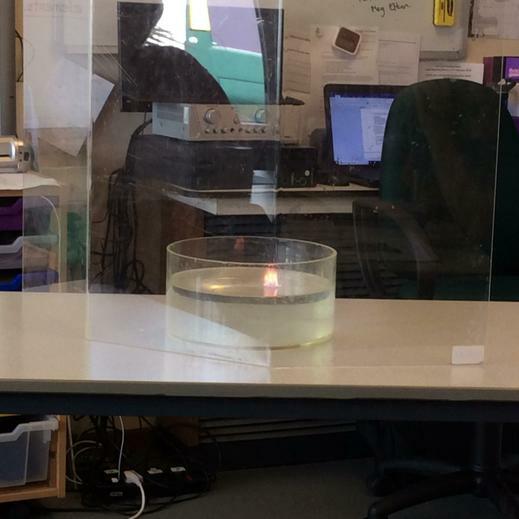 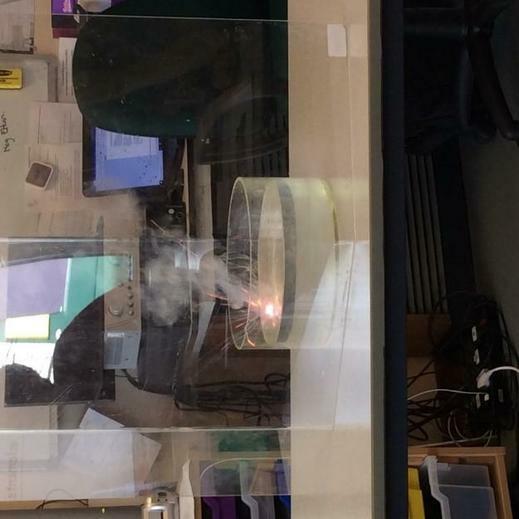 In science we have been looking at changes of state and mixtures, students have completed practical work to find out which substances freeze at certain temperatures, if substances dissolve and how we can separate substances from a mixture. 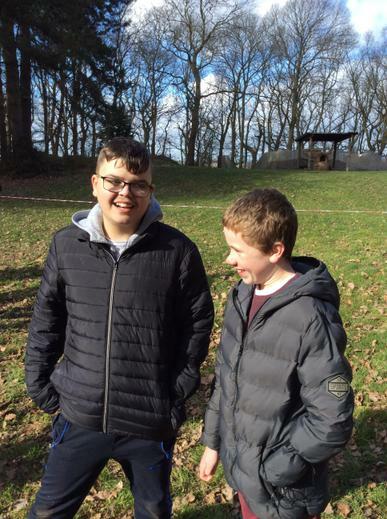 In English we have finished the topic on Super Heroes and have moved onto reading 'The Boy in the Striped Pyjamas' by John Boyne, the students have enjoyed reading the first few chapters and have made some good predictions about what they think that the book is about at different points. 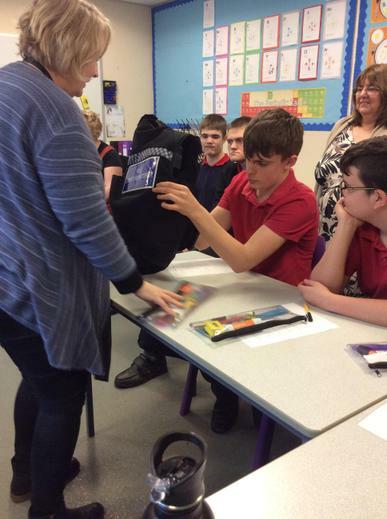 Can I ask if you have read the book or seen the film that you do not 'let the cat out of the bag' about how the boo ends. 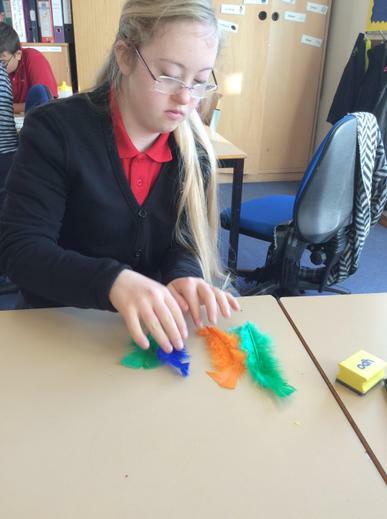 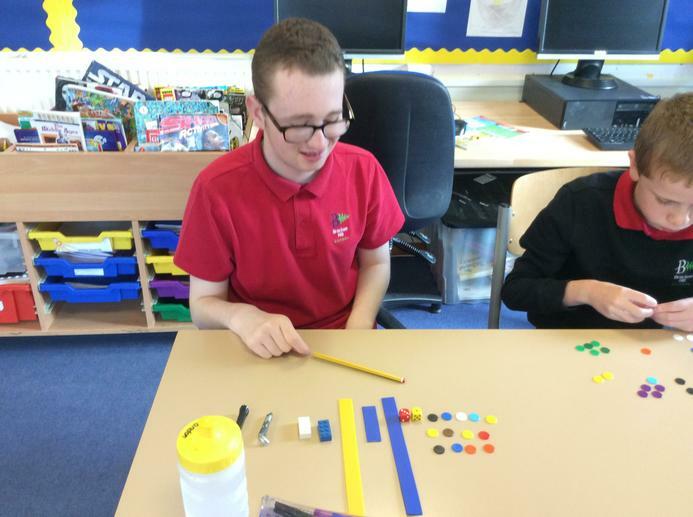 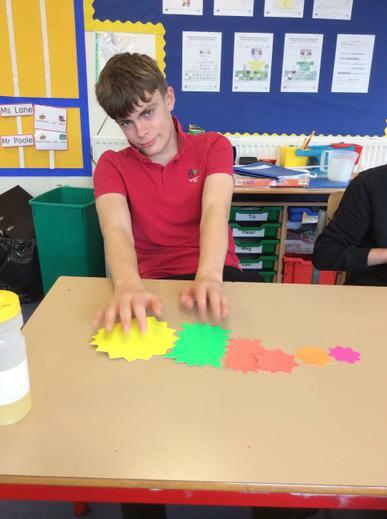 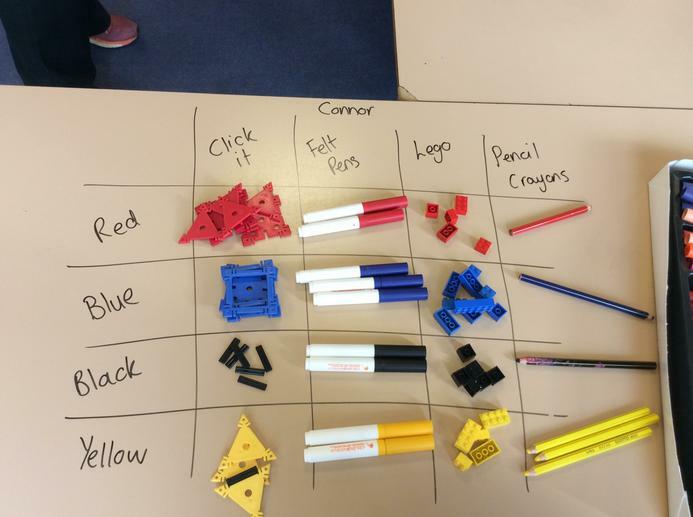 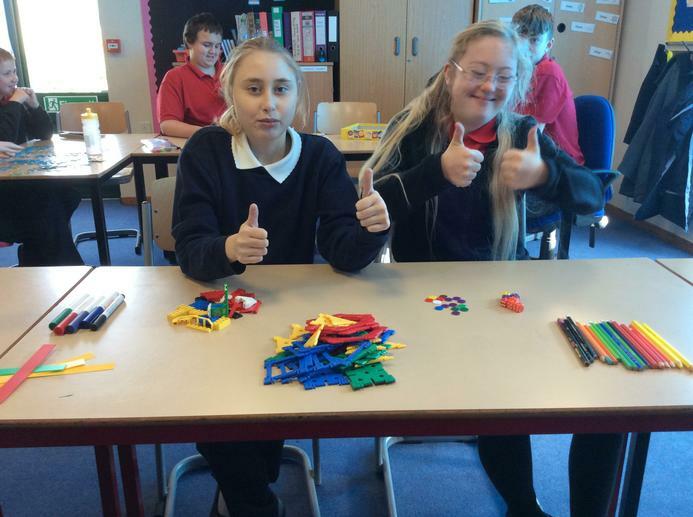 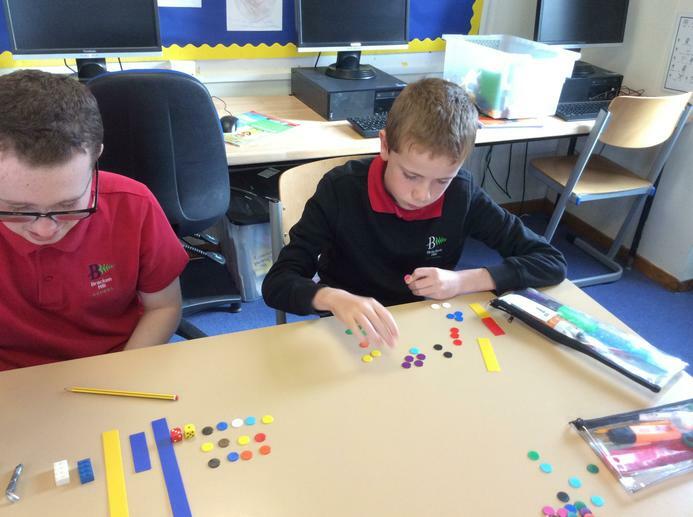 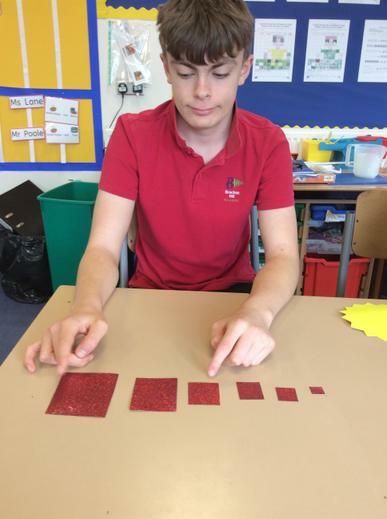 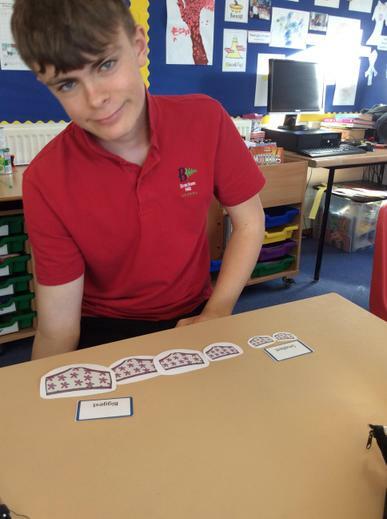 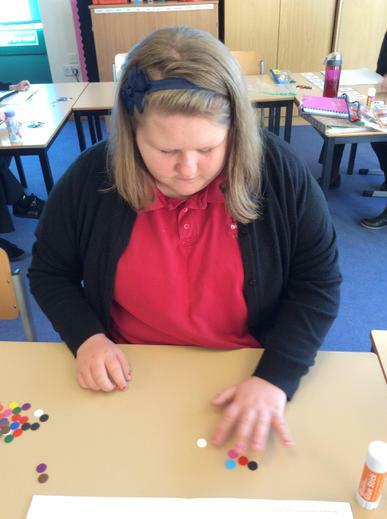 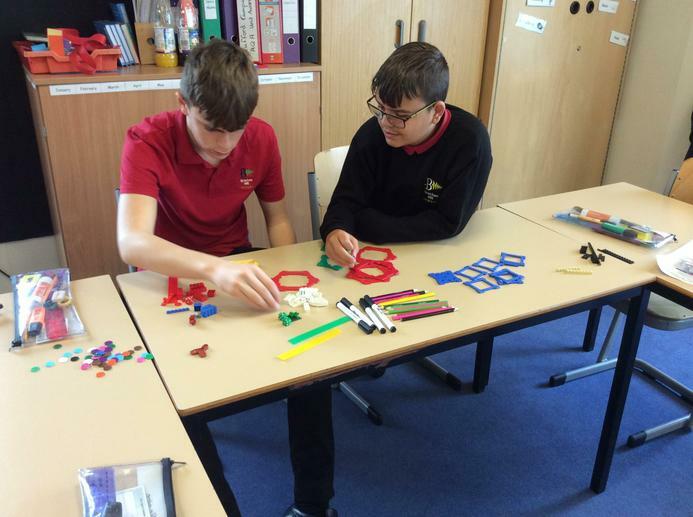 Over the last few weeks in maths we have been looking at sorting, students have sorted objects depending on criteria such as colour, shape and size. 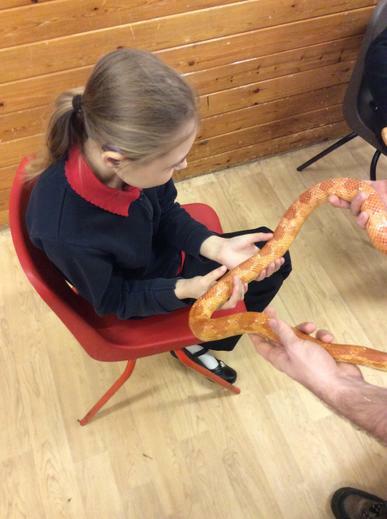 Rufford class have settled in well to their new routines and are making great progress with new friendships and the curriculum. 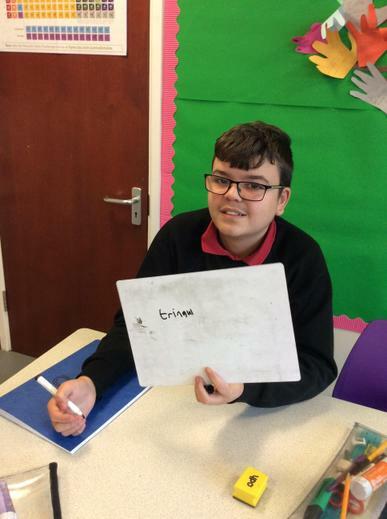 In English we have been looking at superheroes and have been studying the film superman, we have used a range of descriptive words to describe superman and Clark Kent. 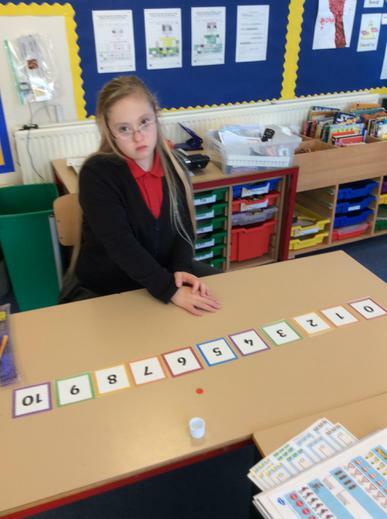 In Maths we have being completing work on number and have been working on sequencing numbers, counting and addition. 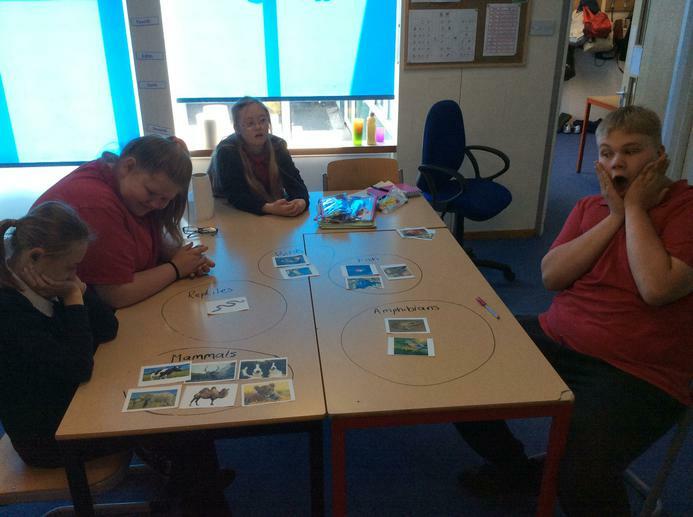 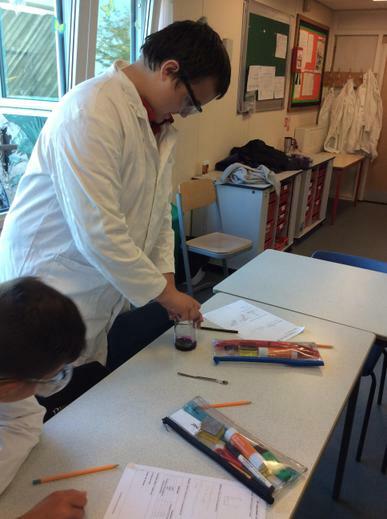 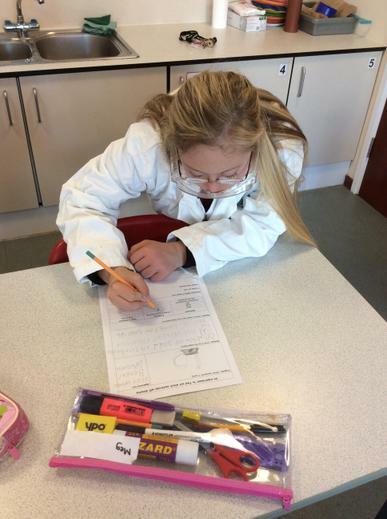 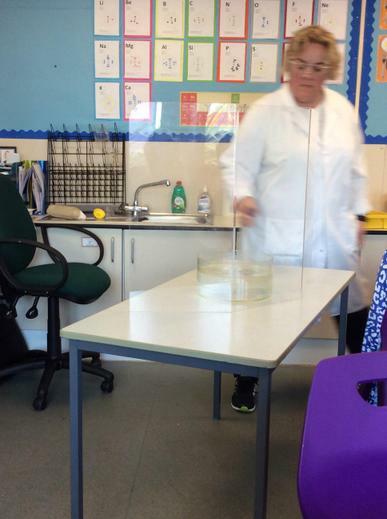 In science we have looked at vertebrates and invertebrates and have moved onto a new topic 'Solids and Liquids' the class are particularly enjoying the practical work. 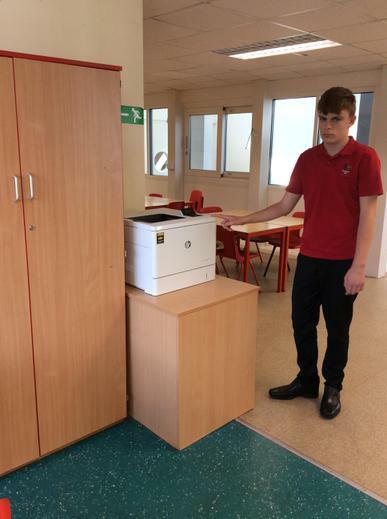 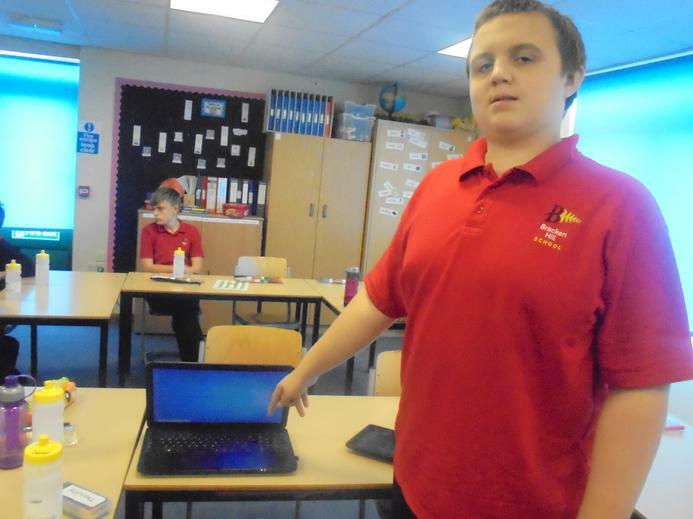 In computing we have started a unit where we are identifying different types of computers and looking at the parts of a desktop and what each of the parts does. 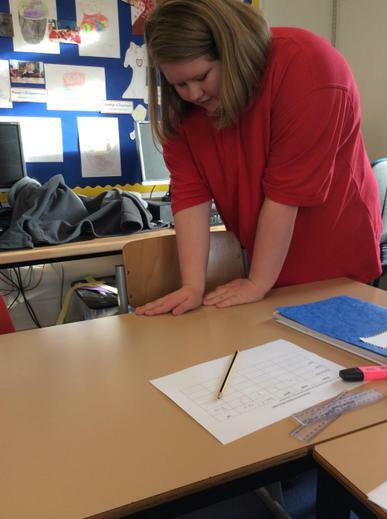 On a Friday the class takes part in work related learning and we have looked at signs and what these are used, practised our money skills and looked at jobs that could be available to us when we leave school; the class had great fun guessing their job in a game where they had a job stuck to their head and had to ask questions to find out what it was. 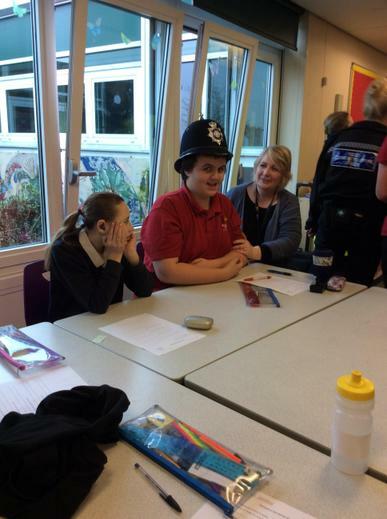 We have also been to a jobs fair in Kirkby so we could ask questions about different jobs.